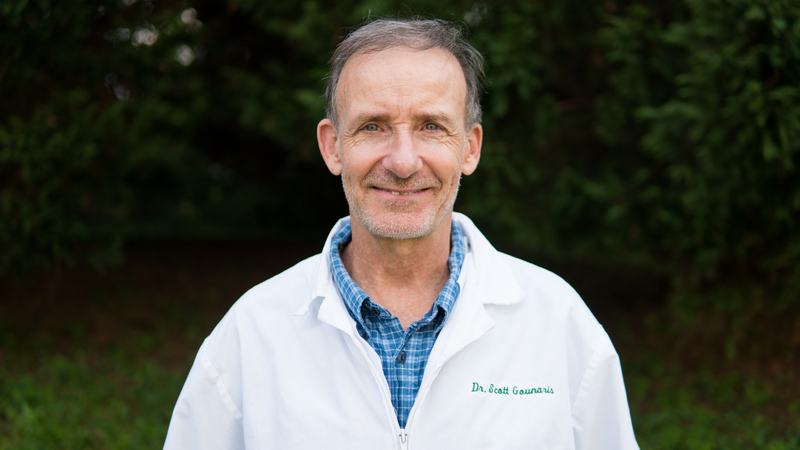 Dr. Scott N. Gounaris graduated from the University of Florida Veterinary School in 1982. His lifetime love for animals drove him to choose veterinary medicine as he wanted to help animals that could not help themselves. Dr. Scott Gounaris enjoys the teamwork that we and the pet owners employ to work together for the welfare of their pets. The greatest reward for him is a positive outcome for his patient and their owners. With over 40 years of experience in the veterinary field, Dr. Scott Gounaris has seen it all. Prior to opening Pleasantville Animal Hospital of Fallston, he worked for his father, who was also a veterinarian. Now the father of a recent veterinary school graduate, a current veterinary school student, and a college graduate, he has shared his love of the profession with the next generation of Gounaris doctors. As a resident of Fallston for more than 20 years, Dr. Scott Gounaris is very proud to serve our community. 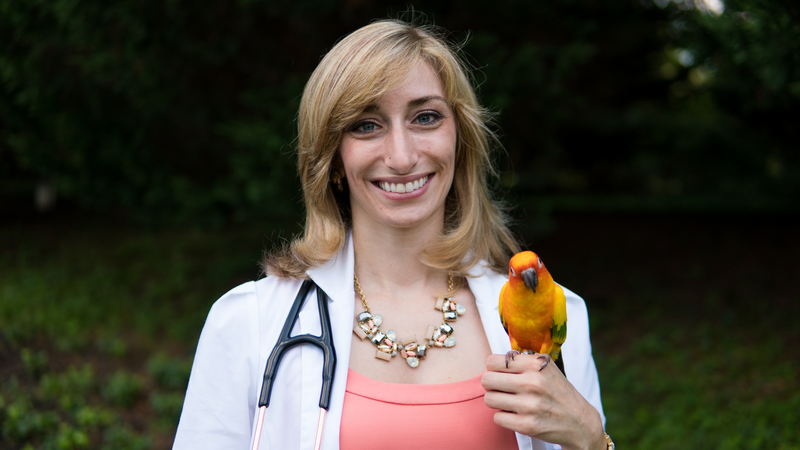 Dr. Rebecca L. Gounaris is a 2016 graduate of the Virginia-Maryland College of Veterinary Medicine and is Dr. Scott Gounaris's oldest child. In addition to her lifetime love for cats and dogs, she has a deep passion for birds and participated in externships at several exotic veterinary clinics during her senior year. She has also worked for many years at Tri-State Bird Rescue & Research in Newark, DE, starting while she was earning her undergraduate degree at University of Delaware, and continues to provide veterinary care to wild birds in need. After spending much time away from home for her education, she is thrilled to be practicing medicine back in her hometown and alongside her family members. She is a member of the Avian Association of Veterinarians, American Veterinary Medical Association, and Maryland Veterinary Medical Association. She also competes in synchronized ice skating on D.C. EDGE's and has two cats, Arwen and Pippin, an Italian Greyhound, Eponine, a Sun Conure, Nino, and a Green-cheek Conure, Dutch.